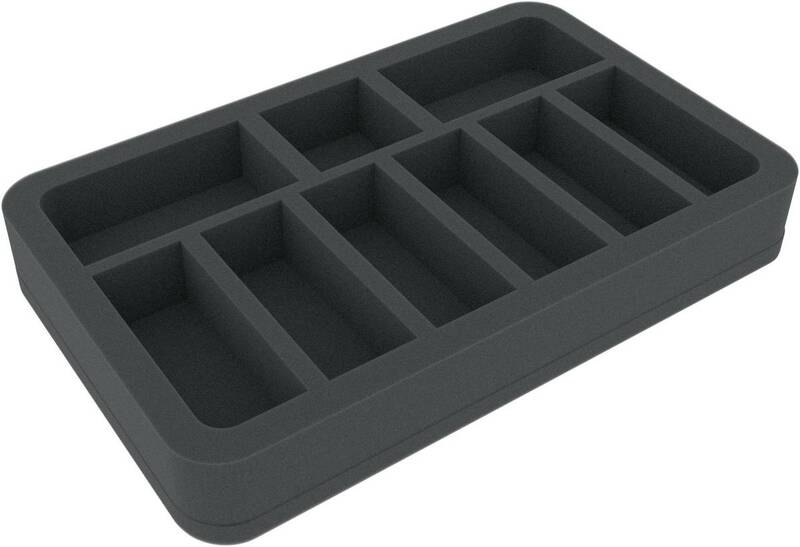 This Half-Size is divided into 9 different-sized compartments. 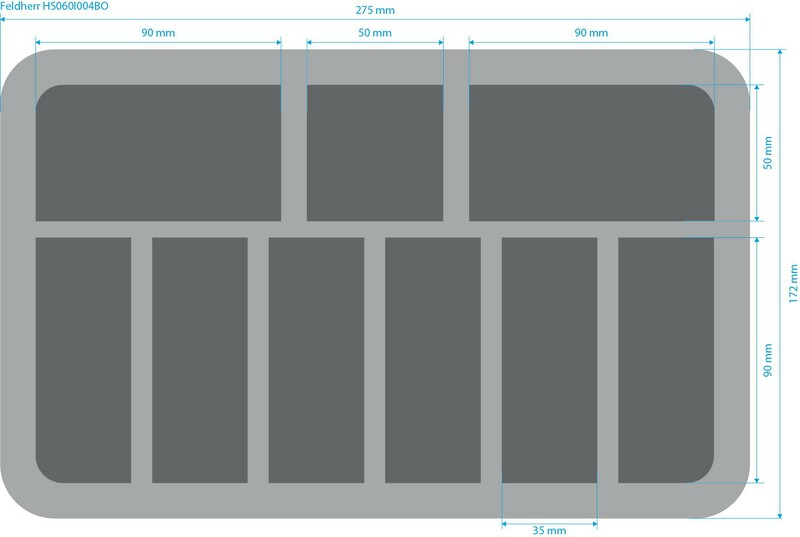 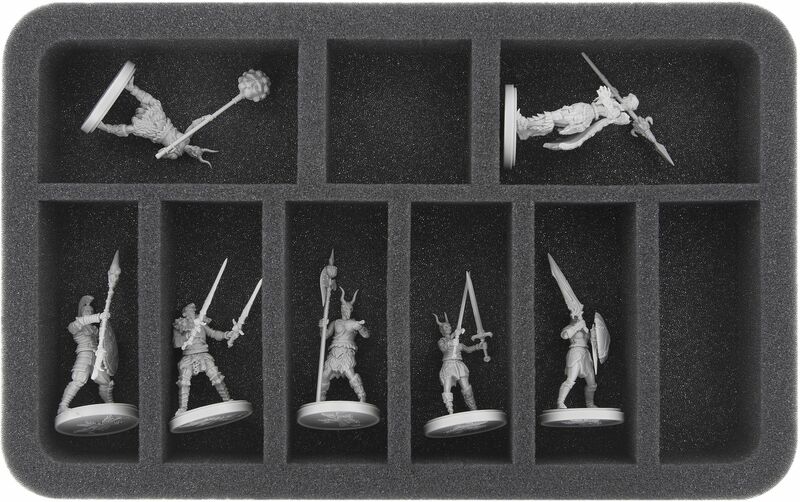 It is best suited for elongated tabletop and board game miniatures (like warriors with musket, sword or lance) with bases up to 30 mm. 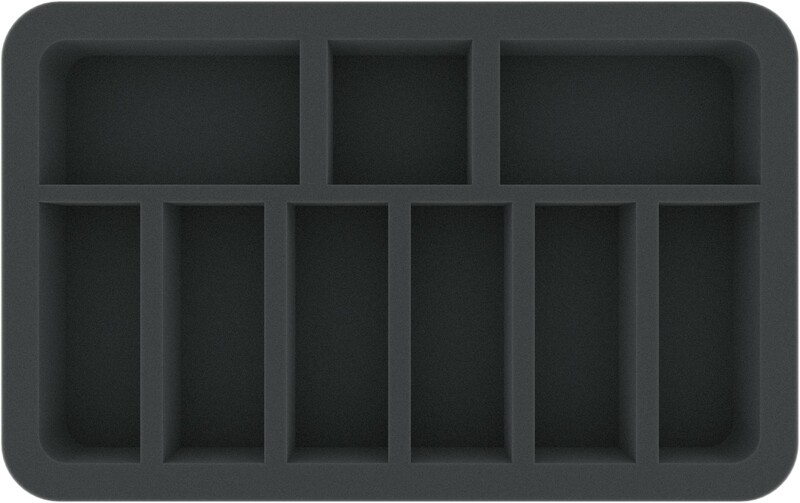 This foam tray has the dimensions: 275 mm x 172 mm x 40 mm total height (30 mm usable height + 10 mm foam base).